Stained or yellowed smiles can take a damper on your self-confidence. 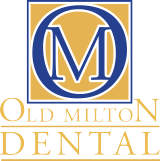 At Old Milton Dental, we want our patients to love their smile which is why we offer professional teeth whitening. Unlike over the counter products, professional teeth whitening can lighten your smile up to 7 shades and give you the luminescent smile you have always desired. With our professional whitening products, you can expect nothing less than beautiful results from our cosmetic dentist in Alpharetta. Continue reading to find out all of the top benefits of professional teeth whitening and then schedule your own whitening appointment today. One of the top reasons our cosmetic dentists recommend professional teeth whitening to patients is because it provides patients with results they cannot achieve with over the counter whitening products alone. With the over the counter products, there is no way to ensure you will receive the results you want. Whitening strips are or the gel you place in an appliance are not guaranteed to apply the whitening solution evenly to your teeth. Many patients find that the over the counter products will not evenly whiten their teeth, leaving them with white spots on their teeth following treatment. With our professional whitening products at Old Milton Dental, we ensure the whitening solution is applied evenly to your teeth so you will have beautiful results. We use the ZOOM! whitening products. The treatment consists of using an oral tray filled with a whitening gel that sits in your mouth for an hour in our office or with a take-home kit that you can complete on your own time. Our dentist will show you how to properly use the whitening products at home so you can have beautiful results regardless if you choose to do it in our office or not. With professional teeth whitening comes professional strength! There’s a reason that you’re over the counter whitening products don’t provide you with the shade of white you desire. This is because the products are not strong enough. With professional whitening, your dentist is administering and supervising your treatment, therefore making it legal for a higher power bleach to be used. This allows your teeth to whiten up to several shades in one visit, or at home. You won’t need to return for another whitening treatment for at least a year. This isn’t true with over the counter products where your teeth quickly return to their yellow shade they begin with within months. Save your money from over the counter products, and invest in professional teeth whitening for the professional strength. Instead of waiting up to two weeks for your over the counter whitening strips to make a difference, you can simply visit our Alpharetta dentist office on your lunch break and return to work with teeth that are 7 shades lighter. This is an ideal solution for those who need a last-minute improvement on their smile or have an event coming up. You can experience almost instant results with a simple visit to our dental office. If this isn’t a benefit of professional teeth whitening, we don’t know what is! With over the counter products, it’s normal to experience increased tooth sensitivity with your teeth whitening treatment. In most cases, this is because the whitening solution finds its way to your gums, which then irritates your gums and causes pain in your teeth. This pain can be avoided with professional teeth whitening because your dentist is there to monitor your treatment. For the at-home solution, Dr. Mazer will give you tips on not getting the whitening solution on your gums and other precautions you can take to avoid increased tooth sensitivity. Enjoy a comfortable whitening experience during and after treatment with professional teeth whitening. Most people don’t second guess if over the counter whitening products are safe or not. When used incorrectly, they can actually do harm to your enamel. This is quite common with the popular “charcoal whitening” products you brush your teeth with. Those actually scrape away your enamel in order to provide you with a white smile. Leave the whitening to the professionals and avoid inflicting any damage on your teeth that you will regret in your future. Damage to your teeth can lead to pain, decay, cavities and a life filled with further dental problems. Keep your teeth safe and pain-free when you choose professional teeth whitening from our Alpharetta dentist. When you choose to opt for professional teeth whitening from our experienced cosmetic dentists, you’re choosing professional results. These beautiful results will help you smile with confidence knowing you received the best care possible. There’s no need to worry that your results won’t look amazing. Our experienced cosmetic dentist is well-versed in professional teeth whitening and can help you achieve the exact results you’re looking for. Skip the Russian roulette results you would end up with from over the counter whitening products, and choose a service you can feel confident will result nice. Our professionals are here to help you achieve your desired smile with help from our ZOOM! whitening products. When you visit our cosmetic dentist for your cosmetic dentistry consultation, you will actually pick the shade of white you want your teeth to be and we will perform your treatment accordingly to achieve those results. Unlike over the counter whitening, you can pick the end result. This means your teeth won’t be under or over white; they will look just how you wanted them to. Whether you want to whiten your teeth in our office, or in the comfort of your home, you should experience the benefits of professional teeth whitening for yourself. Don’t waste your money on over the counter products and instead seek treatment from our expert cosmetic dentists. We’re here to help you achieve a bright and white smile you won’t want to wait to show off! Our Alpharetta dental office can be reached via phone or our online contact form. We look forward to helping your smile!